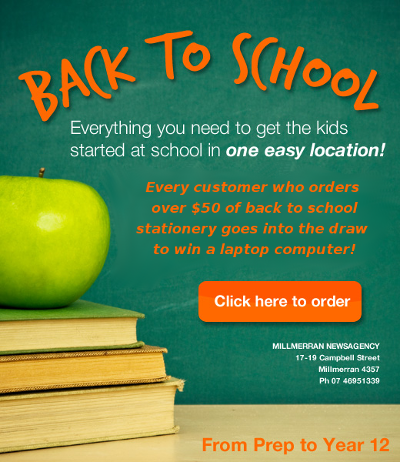 Welcome to the Millmerran Newsagency & Officesmart website. Here you will find a huge range of stationery and other products to choose from and purchase online, browse our online store using the left menu or the product search feature. 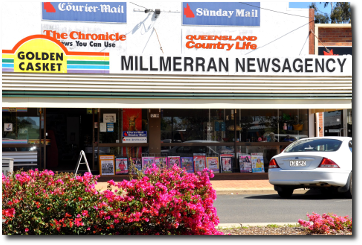 You will also find lots of information about all we have to offer in our newsagency, including Golden Casket, located at 17-19 Campbell Street Millmerran, QLD, just follow the links on the Newsagency and Golden Casket menus on the right. 17-19 Campbell Street, Millmerran QLD 4357.